Among the Somaliland delegation currently on a working visit to Kenya is AbdirashidIbrahim Abdirahman, the Director-General of the Ministry of National Planning and Development. The Director-General and the other members of the delegation led by the Governor of the Somaliland Central Bank, Ali Ibrahim Jama ‘Baghdadi, held talks with various international agencies operating from Nairobi, Kenya, starting off with the World Bank’s Somaliland Representative Hugh Riddell. The World Bank supports Somaliland with the implementation of the Public Financial Management Reform, Civil Service Reform and the advancement and streamlining of financial systems. 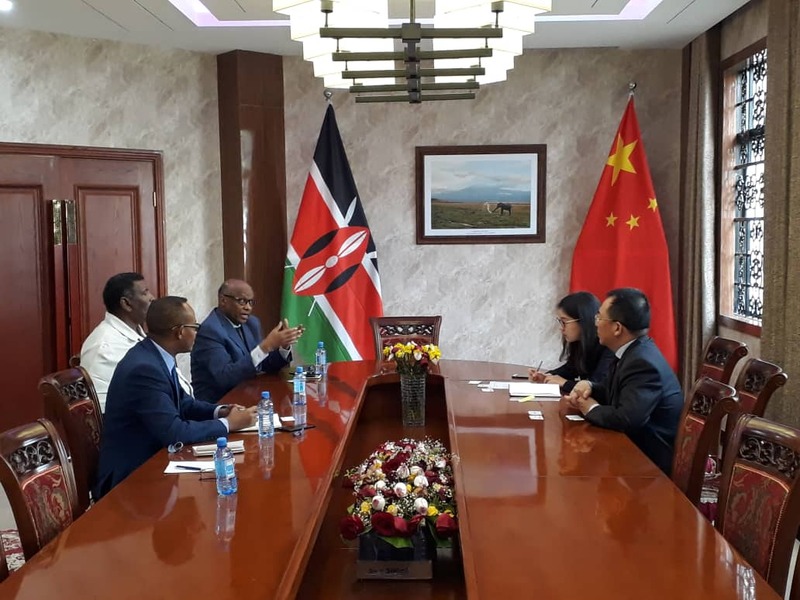 The delegation, also, met with Dr. Gueo Ce, the Economic & Commercial Counsellor of the Embassy of the People’s Republic of China in Kenya, with whom they discussed a closer trading partnership between the two countries. The Somaliland side promoted how rich the country was in livestock, hydrocarbons, gemstones, industrial minerals, frankincense and in fisheries, among others, exploring the investment potential these untapped resources present. “We discussed the possibility of formalizing and facilitating the trade transactions that we had with China. We presented Somaliland’s guarantee for foreign investments,” DG Abdirashid Tweeted of the meeting. “We reminded the Counsellor the role that Somaliland people played during their statehood struggle. Somalis were the first African nation to grant China Diplomatic recognition and helped lobby for the PRC to gain China’s Seat in the United Nations, and President Egal was pushing that,” Abdirashid said. On his own, the Director held two crucial meetings with, respectively, the Japan International Cooperation Agency (JICA) and the United Volunteers office. In the first, the Director-General held fruitful talks with Mr. Shinjiro Amameishi, Japan International Cooperation Agency (JICA) Senior Representative and Mr. Atsushi IIJIMA, JICA Project Formulation Advisor at JICA Kenya Office in Nairobi. The DG states that the discussions centered on ‘JICA’s Technical Cooperation Projects, their Young Future Leaders program, private sector development using Japan’s Kaizen Practice (Quality & Productivity improvement), farmer innovations, market-oriented farming technologies and sustainable livestock management through efficient animal husbandry technologies’. “We also discussed JICA’s human resource development scholarships in which the Somaliland youth can benefit from it; Master’s Degree and Internship Program of African Business Education Initiative for Youth (ABE Initiative),” Abdirashid stated. 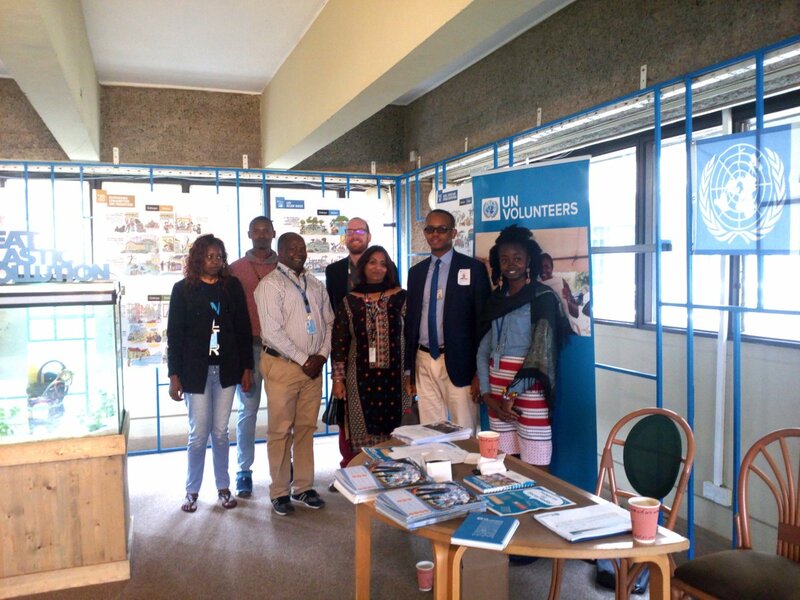 At his meeting with the UNV (United Nations Volunteers) at their Office in Gigiri at the UN Compound, the possibility of deploying Somaliland young people as national hashtag#Volunteers in Somaliland to strengthen the socio-economic impact of volunteers on national development was raised. The United Nations Volunteers (UNV) programme is the UN organization that contributes to peace and development through volunteerism worldwide. Mr. Abdirashed is one of a number of dynamic young men and women nominated to leading government positions. The opportunity for motivated young leaders became a reality when His Excellency the former President of Somaliland, Ahmed Mohamed Mohamoud ‘Siilaanyo’ lowered the threshold to responsible positions from 35 years to 20-25 years old. President Musa Bihi continues the tradition and promises more opportunities for educated, young leaders.